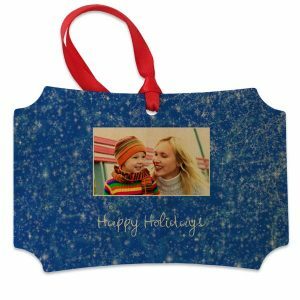 Create your own holiday photo ornaments printed on wood! Print Shop Lab rustic wood photo ornaments are ideal for decorating your tree with a more natural and woodsy look. Create a personalized ornament with text and up to 4 photos. 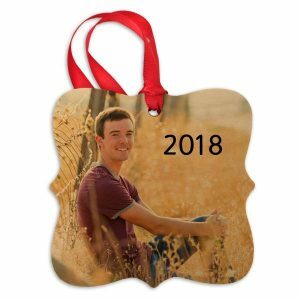 Your custom photo art is printed directly to the front of the ornament, leaving the back natural wood. Natural wood back is perfect for a handwritten message, signature or date.